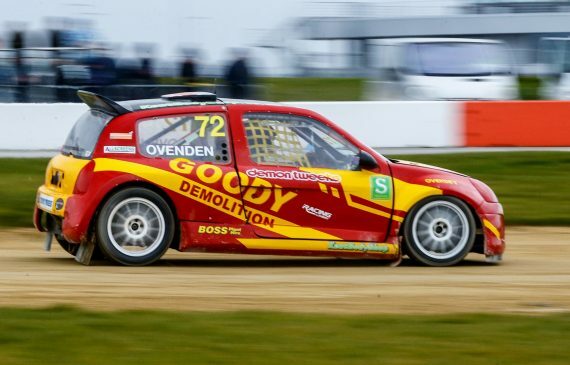 Canterbury based Rallycross driver Tristan Ovenden headed to the new Silverstone Rallycross Circuit to start his defence of his 2017 MSA Supernational crown. 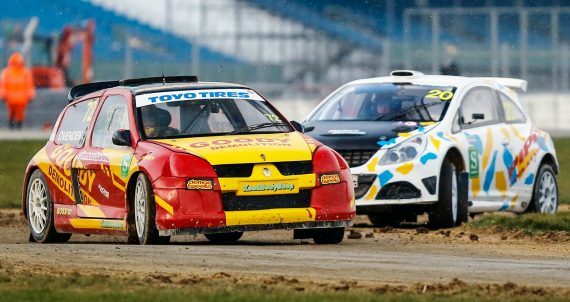 It was clear from the start that conditions would be challenging as snow and strong winds battered the newly built Northampton Rallycross circuit. Temperature’s plummeted and were sitting around -7 degrees for most of the day thanks to the gale force winds. This was also to be the very first race meeting on the new circuit. The track itself is largely comprised of loose and is very tight. Its total length is a mere 972m. In a year where the Supernational and Super1600 classes have been combined racing is sure to be interesting. Ovenden lined up for his first heat on the front row and recorded the third fastest time. This was also the case for his second heat. He was able to use his Clios superior power to get great starts and reach the first turn ahead of the rest of the pack. This was still the case in qualifying three despite starting from the second row. 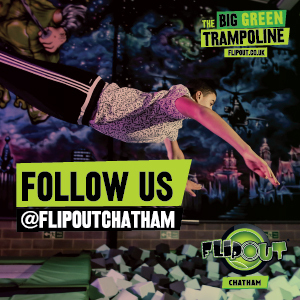 At the intermediate stage he was sitting in fourth place and gained a great position for the semi-final, which he narrowly missed out on winning. After a hard fought final where the Goody Demolition backed driver kept the nimbler Super1600 cars at bay for a large part of the race. He finally crossed the line in third place and scoring valuable championship points. This entry was posted	on Tuesday, March 20th, 2018 at 8:59 am	and is filed under Featured, Motor Racing. You can follow any responses to this entry through the RSS 2.0 feed. Both comments and pings are currently closed.